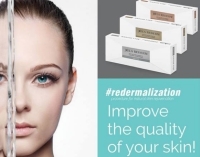 It's Skin Rejuvenation Season at Legs eleven! Here's everything you need to know about the Beta Peel in our Lamelle Pigmentation Correction treatment! 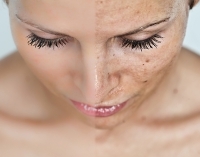 Our newest combination treatment for Pigmentation Correction! 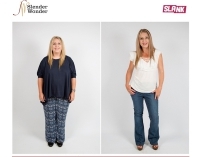 Say goodbye to “spare tyres”, dimpled thighs, sagging buttocks and arms! 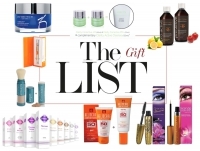 Exclusive: Inside Tasmin Simon’s Skincare Regime! 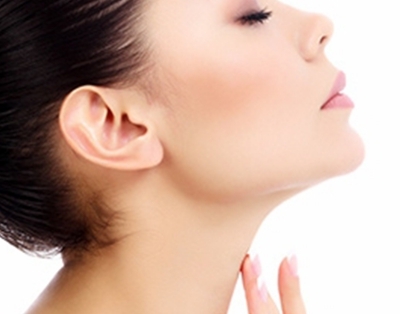 Chin up, there’s a solution for sagging skin, necks and jowls! Our New Deluxe IPL Package! Win a weekend away! Join the 28 day Eat-Fit-Firm Challenge! Learn more about our EAT FIT FIRM eating plan! EAT FIT FIRM launches at Legs11! 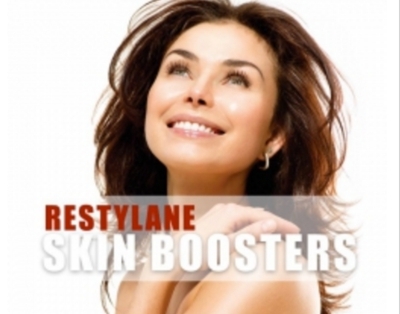 Your Best Results with Restylane Skin Boosters! 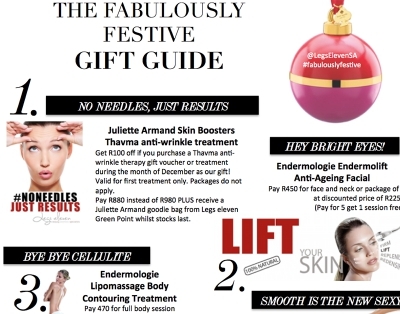 Festive Treatments! Treat yourself, or someone else! Learn about the newly relaunched NOURISH range! 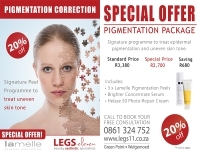 Your guide on our new treatments at Legs eleven! How to pick the best peel for your skin! 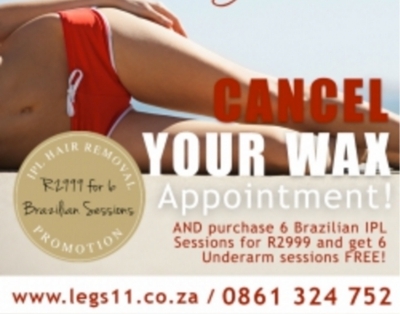 Say Goodbye to Cellulite at Legs11! We are open: Monday - Friday, 9AM - 6PM, Saturdays 8AM - 5PM, and closed on Sundays. By visiting the website Legs eleven, viewing, accessing or otherwise using any of the services or information created, collected, compiled or submitted to Legs eleven, you agree to be bound by the following Terms and Conditions of Service. If you do not want to be bound by our Terms your only option is not to visit, view or otherwise use the services of Legs eleven. You understand, agree and acknowledge that these Terms constitute a legally binding agreement between you and Legs eleven and that your use of Legs eleven shall indicate your conclusive acceptance of this agreement. You agree and acknowledge that Legs eleven is entitled to modify, improve or discontinue any of its services at its sole discretion and without notice to you even if it may result in you being prevented from accessing any information contained in it. Furthermore, you agree and acknowledge that Legs eleven is entitled to provide services to you through subsidiaries or affiliated entities. Legs eleven retains copyright in the website and all current and future content that is displayed on the website which is not owned by third parties. You acknowledge and agree that Legs eleven may contain proprietary and confidential information including trademarks, service marks and patents protected by intellectual property laws and international intellectual property treaties. Legs eleven authorizes you to view and make a single copy of portions of its content for offline, personal, non-commercial, informational use. Our content may not be sold, reproduced, or distributed without our written permission. Any third-party trademarks, service marks and logos are the property of their respective owners. Any further rights not specifically granted herein are reserved. Any third party wishing to link the website to their website must obtain permission from Legs eleven and permission may be granted on terms and conditions. While every effort is made o ensure that the information provided on the Legs eleven website is current and accurate, you should not assume that the information on the website is always current or accurate, and other sources of this information should be consulted before making any decision to act on the information displayed on this website. When you submit content to Legs eleven you simultaneously grant Legs eleven an irrevocable, worldwide, royalty free license to publish, display, modify, distribute and syndicate your content worldwide. You confirm and warrant that you have the required authority to grant the above license to Legs eleven. We value comments received from visitors to our site. However, you agree not to transmit any material that is unlawful or harmful, defamatory, abusive, threatening, vulgar or obscene. You remain liable to any third party for your comments, and Legs eleven is not liable to any third party regarding the contents of your comments. You understand and agree that your use of Legs eleven is entirely at your own risk and that our services are provided "As Is" and "As Available". Legs eleven does not make any express or implied warranties, endorsements or representations whatsoever as to the operation of the Legs eleven website, information, content, materials, or products. This shall include, but not be limited to, implied warranties of merchantability and fitness for a particular purpose and non-infringement, and warranties that access to or use of the service will be uninterrupted or error-free or that defects in the service will be corrected. You understand and agree that Legs eleven and any of its subsidiaries or affiliates shall in no event be liable for any direct, indirect, incidental, consequential, or exemplary damages, losses or expense of any nature whatsoever, which may be suffered by you the user, which arises directly or indirectly upon reliance of the website and its contents or any functionality of the website or of any linked website. This shall include, but not be limited to damages for loss of profits, business interruption, business reputation or goodwill, loss of programs or information or other intangible loss arising out of the use of or the inability to use the service, information, or any permanent or temporary cessation of such service or access to information, or the deletion or corruption of any content or information, or the failure to store any content or information. The above limitation shall apply whether or not Legs eleven has been advised of or should have been aware of the possibility of such damages. In jurisdictions where the exclusion or limitation of liability for consequential or incidental damages is not allowed the liability of Legs eleven is limited to the greatest extent permitted by law. Legs eleven may include hyperlinks to third-party content, advertising or websites. You acknowledge and agree that Legs eleven is not responsible for and does not endorse any advertising, products or resource available from such resources or websites. Third party advertising and promotional material may be displayed on the site from time to time, and the display of such material should not be construed as Legs eleven endorsing or creating any relationship between Legs eleven and that third party. Reliance on any such promotional or advertising material is entirely at your own risk. You expressly understand and agree to submit to the personal and exclusive jurisdiction of the courts of the country, state, province or territory determined solely by Legs eleven to resolve any legal matter arising from this agreement or related to your use of Legs eleven. If the court of law having jurisdiction, rules that any provision of the agreement is invalid, then that provision will be removed from the Terms and the remaining Terms will continue to be valid. Legs eleven collects personally identifiable information, such as your e-mail address, name, home or work address or telephone number. Legs eleven also collects anonymous demographic information, which is not unique to you, such as your postal code, age, gender, preferences, interests and favorites. There is also information about your computer hardware and software that is automatically collected by Legs eleven. This information can include: your IP address, browser type, domain names, access times and referring Web site addresses. This information is used by Legs eleven for the operation of the service, to maintain quality of the service, and to provide general statistics regarding use of the Legs eleven Web site. Legs eleven encourages you to review the privacy statements of Web sites you choose to link to from Legs eleven so that you can understand how those Web sites collect, use and share your information. You understand and agree that the above Terms constitute the entire general agreement between you and Legs eleven. You may be subject to additional Terms and conditions when you use, purchase or access other services, affiliate services or third-party content or material. Legs eleven reserves the right to modify these Terms from time to time at our sole discretion and without any notice. Changes to our Terms become effective on the date they are posted and your continued use of Legs eleven after any changes to Terms will signify your agreement to be bound by them. Monday to Friday 9:00 a.m. - 18:00 p.m.
Saturday 8:00 a.m. – 17:00 p.m. Salon hours are subjective to change. A full course of treatment dates may be booked in advance. We recommend that client’s reserve their next treatment prior to leaving Legs eleven to ensure availability. Appointments may be booked on-line at least 6 hours in advance. MultIple treatments can be booked for any day Monday to Saturday within a 3 months period. Appointments can be changed online up to 24 hours before an appointment, from the customer area. As a courtesy, Legs eleven sends clients a confirmatory e-mail when a client books a new appointment. E-mail reminder is sent 3 days prior to the appointment. SMS reminder is sent 24 hours prior to the appointment. This is a complimentary service and should not be relied upon as your only means of remembering an appointment. It is the client’s responsibility to remember appointment dates and times to avoid late arrivals and missed appointments. Legs eleven requests all clients to arrive 10 minutes prior to an appointment to allow time to complete any necessary paperwork and orientate themselves at our facility. This allows us to remain on schedule for all our clients. Legs eleven firmly believes in the value of our client’s time and will make a conscious effort to avoid long waiting periods. As much as we would like, Legs eleven cannot guarantee service for late arrivals. If a client arrives late their treatment may either need to be shortened or rescheduled to allow us to remain on schedule for our other clients. In such cases the client may be charged for the treatment, at the discretion of management. No-shows and last minute cancellations enormously disadvantage our business, which in turn may affect our affordability. It is also unfair to other clients who cannot book those time slots with us. Legs eleven kindly request all clients to provide at least 24 hours notice if they need to reschedule or cancel a treatment to provide Legs eleven with sufficient time to fill the time slot. If a client cancels an appointment with less than 24 hours notice, he /she may be charged for the treatment and / or requested to pay in advance for future appointments, at the discretion of management. Legs eleven will endeavour to contact clients as soon as possible if a therapist is unable to perform their appointment, due to illness or unforeseen circumstances. In this case, Legs eleven may ask the client to see another available therapist or reschedule their appointment time. Clients who fail to show up for appointments, without contacting Legs eleven, will be charged in full for the missed treatment and / or requested to pay for future appointments in advance, at the discretion of management. Legs eleven welcomes walk-in clients, however if it is not convenient with our schedule, clients may have a waiting period or be required to schedule an appointment at the next available time slot. If a client needs a certain time slot we recommend booking in advance for an appointment. It is Legs eleven’s policy for all new clients to have an initial free consultation and skin patch test 24 to 48 hours prior to IPL treatment to ensure safe and effective treatments. Requests by client’s to have their first treatment performed on the same day as the initial consultation and skin patch test, are subject to management discretion. Clients are required to inform Legs eleven about any changes in their medical status or medications they are taking. 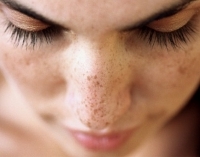 All clients will be required to sign a consent form, before starting an IPL treatment course. In certain circumstances Legs eleven may request clients to obtain permission from their own Doctor, before commencing treatments. All clients under the age of 18 are required to have a parent or guardian present during the initial consultation and to sign the consent form. Clients are required to wear protective eye equipment (goggles / glasses) during IPL treatments, as determined by practical IPL requirements and Workplace Health and Safety Standards. Should a client have a visitor accompanying him/ her, we request that the visitor remain in the reception area during the IPL treatment. 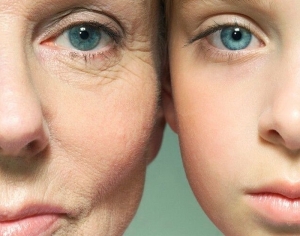 Due to the nature of our work and the use of Intense Pulse Light Technology, client’s children may not be present in the treatment room during an IPL treatment. 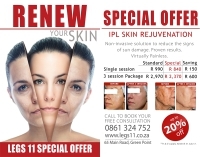 Legs eleven is unable to accept cheques or provide credit for IPL treatments. Client parking is available in the parking area opposite the Legs eleven salon. In the treatment rooms, we request that clients kindly turn off mobile phones or switch them to vibrate. The Legs eleven salon is a smoke-free environment and promotes itself as such. We regret that Legs eleven cannot be held responsible for loss or damage to client’s personal articles including clothing or accessories. At Legs eleven we are always appreciative of client’s feedback and suggestions. After an appointment, every client will receive a standard e-mail requesting their rating of / feedback on the service received at Legs eleven. We thank you for taking a minute to complete the star rating. It is our goal to exceed client’s expectations. At Legs eleven we are committed to providing a high quality service to all our clients. When something goes wrong, we would like our clients to tell us about it. This will help us to rectify any problems immediately and improve our standards. 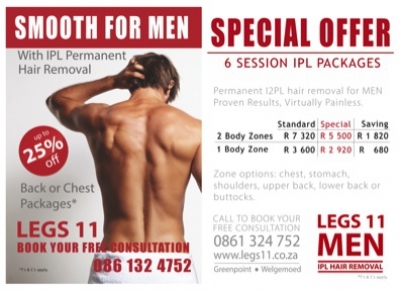 Clients may either speak to their therapist or our management directly or e-mail us on smooth@legs11.co.za. 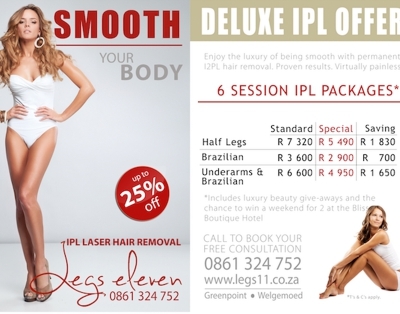 Legs eleven is a professional IPL salon establishment. Our trained therapists are here solely to provide a professional treatment. If a therapist ever feels that a client is behaving inappropriately, they are authorised to stop the treatment immediately and notify management. It is the policy of Legs eleven that there are no refunds regarding services, including packages and vouchers purchased. the remaining treatments in a package purchased may be refunded or exchanged, at the discretion of management. 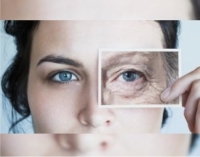 However, if the adverse reaction occurs as a result of the client not following the guidelines recommended by the staff, for proper results of the service, then a refund will not be issued. If a visible adverse reaction to a service occurs, the client must contact Legs eleven within 48 hours. This is mandatory in the process of requesting a refund. In the event that a service package is purchased and the client is unhappy with the treatment results or wants a different service, an exchange for the value of the remaining package can be applied to other services, at the discretion of management. Clients will receive a full refund for any un-opened products returned within 7 days of purchase, in original new condition, with receipt present. There are no refunds or credits given towards any opened products. Clients should return a faulty product to Legs eleven, with receipt present, and demonstrate the fault to management. Clients will receive a product exchange or refund, at the discretion of management. Thank you for taking the time to read, understand and appreciate Legs eleven’s client policies. By providing us with these small courtesies, Legs eleven is able to ensure you of the best customer service at all times. legs11.co.za may contain links to third-party websites. Legs Eleven is not responsible for the information practices or the content of such third-party websites. We encourage you to review the privacy policies of third-party websites to understand their information practices. Legs Eleven will inform an individual of the purpose for which it collects and uses information and the types of non-agent third parties to which Legs Eleven discloses or may disclose the information. 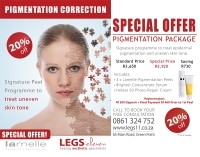 Legs Eleven offers a variety of products and services that are together referred to as “the Products and Services.” If you choose to use the Products or Services, we may require you to provide contact and identity information, billing information, and other personal information as indicated on our user interfaces, including on Legs Eleven.co.za. Once you register on legs eleven.co.za, you are no longer anonymous to us. automatic information, such as computer sign-on data, browser type, browser language, statistics on page views, traffic to and from our user interfaces and ad data. Like many websites, we use identifiers such as “cookies” and Web beacons to obtain this automatic information. information from third-party providers and services to help Legs Eleven provide our Products and Services and to help us understand the use of our Products and Services..
credit card information and billing addresses. Legs Eleven does not support Do Not Track technology. As part of your registration on our Website to use the Products or Services, our Website, you agree that you may receive certain administrative communications from us, such as administrative announcements and customer service messages regarding Products or Services and products during the period that we provide Products or Services to you. You may not opt out of receiving such administrative communications. Legs Eleven’s user interfaces use credit card information solely to check the financial qualifications of prospective customers and to collect payment for the Products and Services. Legs Eleven does not use personal information for marketing its services, either through email or direct mailing. Legs Eleven may send some non-marketing communications that are not subject to general opt-out,such as information that you request we send to you or to third parties with whom you do business, and disclosures to comply with legal requirements and other informational notices. Our newsletter is used as a general means of communication and may include updates to our services as well as new partner agreements. You have the option to unsubscribe to our newsletter at anytime. If we intend to use your information for a purpose that is not compatible with these purposes or if we intend to disclose it to a type of third party not previously identified, we will notify you and offer you the opportunity to opt out of such uses and/or disclosures. Legs Eleven will offer individuals the opportunity to choose (opt out) whether their information is to be disclosed to a third party or to be used for a purpose other than the purpose for which it was originally collected or subsequently authorized by the individual should the occasion arise. We use identifiers such as cookies, Web beacons and IP addresses to make interactions with users easy and meaningful. When you visit Legs Eleven.co.za, Legs Eleven’s servers send a cookie to your computer. Standing alone, cookies do not identify you. They merely recognize your Web browser. Unless you choose to identify yourself to Legs Eleven, either by responding to a promotional offer, opening an account, or filling out a Web form, you remain anonymous to Legs Eleven. If you have identified yourself to Legs Eleven.co.za, we use session cookies containing encrypted information to identify you uniquely. Each time you log into the Products and Services, your browser saves a session cookie containing an encrypted, unique identifier tied to your account. These session cookies allow legs11.co.za to identify you uniquely while you are logged into the Products and Services and to process your online transactions and requests. Use of the Products and Services requires session cookies. legs11.co.za uses persistent cookies that only we can read and use to identify users who have visited our website previously. When you purchase the Products and Services or provide us with personal information, our website assigns a unique identifier to you. This unique identifier derives from a persistent cookie that legs11.co.za places on your Web browser. We especially are careful about the security and confidentiality of the information stored in persistent cookies. For example, we store neither account numbers nor passwords in persistent cookies. If you disable your Web browser’s ability to accept cookies, you will be able to navigate Legs Eleven.co.za, but you will be unable to use the Products and Services successfully. We may use information from session and persistent cookies in combination with data about Legs Eleven’s website users to provide you with information about us and the Products and Services. The Help portion of the toolbar on most browsers will tell you how to prevent your browser from accepting new cookies, how to have the browser notify you when you receive a new cookie, and how to disable cookies. You also can disable or delete similar data used by browser add-ons, such as Flash cookies, by changing the add-on’s settings or visiting the website of its manufacturer. We recommend that you leave cookies turned on, however, because they allow you to take advantage of some of Legs Eleven’s essential features. For instance, if you block or otherwise reject our cookies, you won’t be able to access or use your account at legs11.co.za or to enter comments and questions on our community forums. You will be able to browse Legs Eleven.co.za, to use our knowledge base (kb.Legs Eleven.co.za), and to read community forums. We use Web beacons alone or in conjunction with cookies to compile information about usage of legs11.co.za and user interaction with emails from Legs Eleven.co.za. Web beacons are clear electronic images that can recognize certain types of information on your computer, such as cookies, when you viewed a particular website tied to the Web beacon, and a description of a website tied to the Web beacon. For example, we may place Web beacons in marketing emails that notify legs11.co.za when you click on a link in the email that directs you to Legs Eleven.co.za. 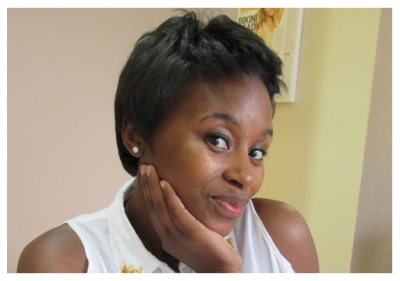 Legs Eleven uses Web beacons to operate and improve legs11.co.za and email communications. Legs Eleven may use information from Web beacons in combination with data about users to provide you with information about legs11.co.za and the Products and Services. We use local shared objects, also known as Flash cookies, to store your preferences or display content based upon what you view on our site to personalize your visit. Third parties, with whom Legs Eleven partners to provide certain features on our site or to display advertising based upon your Web browsing activity, use Flash cookies to collect and store information. Flash cookies are different from browser cookies because of the amount and type of data, and how it is stored. Cookie management tools provided by your browser will not remove Flash cookies. When you visit Legs Eleven.co.za, we collect your Internet Protocol (“IP”) addresses to track and aggregatenon-personal information. For example, we use IP addresses to monitor the regions from which users navigate Legs Eleven.co.za. We also collect your IP address when you log into our Products and Services as part of our security features. We occasionally engage third parties to track and analyze usage and volume statistical information from users of Legs Eleven’s user interfaces, including our website, Legs Eleven.co.za. We also may use otherthird-party cookies to track the performance of our advertisements. The information provided to third parties includes no personal information, but this information may be re-associated with personal information after we receive it. law enforcement or other government officials in order to investigate, prevent, or counteract illegal activities, suspected fraud, violations of law, or as otherwise required by law. legs11.co.za may include community forums, blogs, or chat rooms. Any other visitors to these forums may read, collect, or use the personal information you choose to disclose there, and may use it to send you unsolicited messages. Legs Eleven is not responsible for the privacy of information you choose to disclose in these forums. Users may elect to use our affiliate referral program to inform friends about Legs Eleven. We request the name and email address of each referred friend. Legs Eleven will send a one-time automatic email to the friend inviting him or her to visit our user interfaces. For further information about our affiliate referral program. 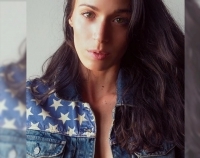 Legs Eleven posts a list of users and testimonials on our user interfaces, including on our website, legs11.co.za that contain information such as user names and titles. We obtain the consent of each user prior to posting any information on such a list or posting testimonials. If you are registered to receive our Products or Services, you can access, review and modify your personal information at any time by logging into your Profile. We may delete personal information when we no longer need it for the purposes we described earlier. We may retain personal information as permitted by law to resolve disputes, enforce our policies, and prevent the recurrence of fraud or other illegal or improper activity. To prevent unauthorized access, promote data security, and encourage appropriate use of information, we use a variety of tools, such as encryption technologies, passwords, physical and electronic security, or procedural safeguards to assist in the protection of your information. No security on the Internet is absolute, however, so we are unable to guarantee the security of any information that you share with us. Legs Eleven has further committed to refer unresolved privacy complaints to an independent dispute resolution mechanism. ©Copyright 2013 Legs Eleven. All Rights Reserved.